The Beijing International Convention Center is directly connected to a four star hotel (North Star Continental Grand Hotel) which has 550 rooms. We will designate the Continental Grand Hotel as the conference hotel for convenience. 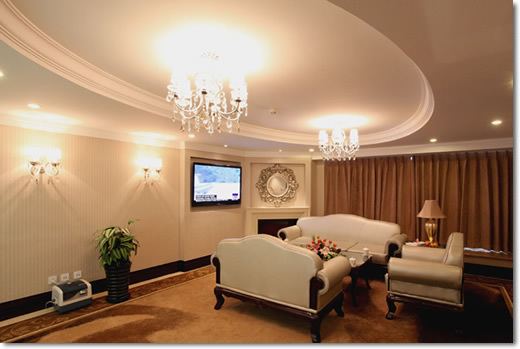 To its east side, the Continental Grand Hotel is directly connected to a five star hotel (North Star Crowne Plaza Wu Zhou Hotel) which has 500 rooms. Nearby, within five minute walking distance, there are several three and four star hotels including National Jade Hotel (190 rooms), and few others with more than 500 rooms total. 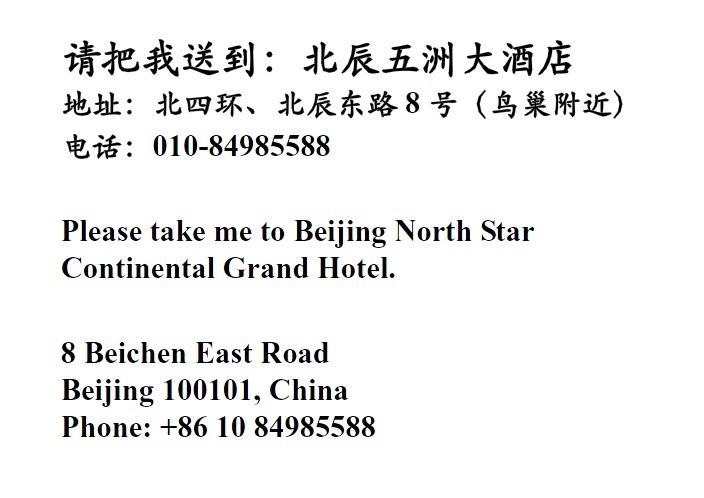 The North Star Continental Grand Hotel, which is a four star hotel, is directly connected to Beijing International Convention Center (BICC) and is designated as the conference hotel. 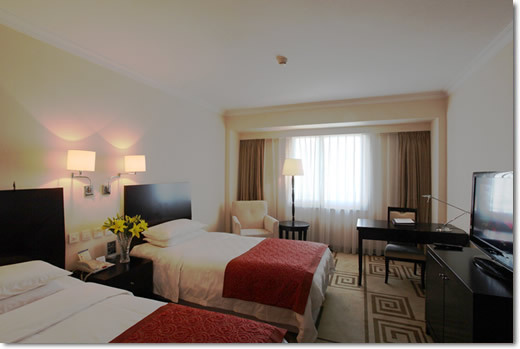 The hotel offers 550 elegant and comfortable guest rooms. Each room has air conditioning, a cable TV, internet access, a hair dryer, a mini bar, and other facilities. 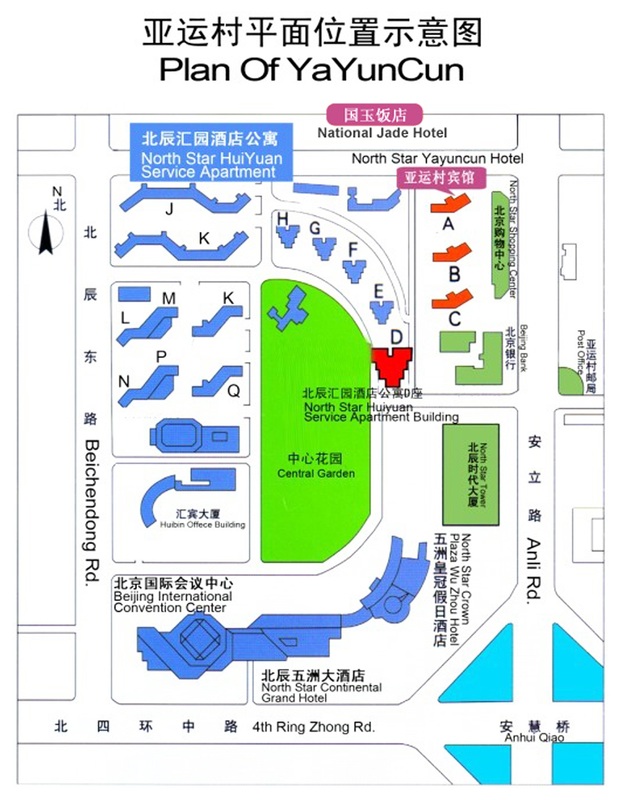 It is a suitable place for people who visit Beijing for business and want to attend conferences at BICC. 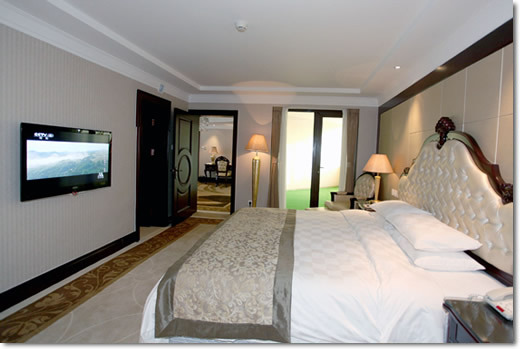 * The above room rates include one breakfast (additional breakfast at 80 CNY / 13 USD each). 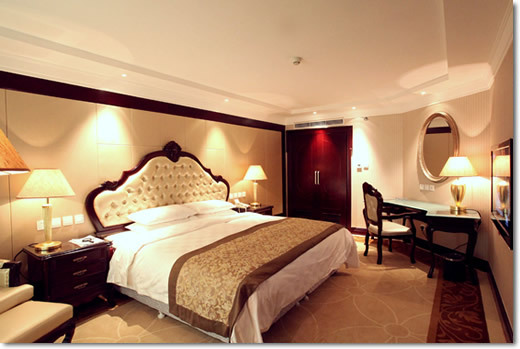 Click here if you are from China and want to book your rooms using Chinese credit card. Otherwise, please click here to book your rooms. 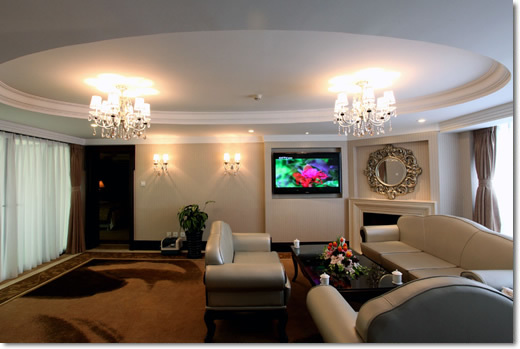 Questions regarding hotel room reservation should be sent to yuding@bcghotel.com. Click here to download a note you can show to your taxi driver. A map showing the local area is given below.